One week after the regions of Gao, Kidal and Timbuktu in northern Mali were captured by rebel and Islamist groups, many Malians are trapped and have limited access to food and other basic necessities, while aid operations remain largely suspended. “Everything is running out here - water, electricity, food, medicine. The rebels have continued to loot, now they are breaking into people’s houses to take their animals. We are stuck here. We cannot leave because there is no way out,” said Noumoussa Traoré, who works with an agricultural producers association in Gao. “[They]… continued firing in the air and looting for days, terrorizing populations,” Issa Mahamar, a French teacher in Gao, told IRIN. People in Gao do not feel safe. Most aid agencies have suspended their operations due to insecurity and because in many cases their equipment, vehicles and stocks have been stolen. The International Committee of the Red Cross (ICRC) alone lost 14 vehicles. Only Médecins Sans Frontières (MSF), which recently started working in Mali, is still providing medical care to people who need it. Water and electricity supplies were cut off in Gao after the utilities were attacked and equipment was stolen. Adama Tamboura, who works with state energy company Energie du Mali, says there is no gas available to run the turbines. One staff member was shot in the arm and others “were forced to leave town - we had to abandon everything”, he told IRIN. Most of the transport networks have stopped operating, Abouba Badiaga said in the Oxfam office in Gao. People who have vehicles are charging passengers US$80-$150 to leave town, said Noumoussa Traoré. “In other years when we faced drought, I would take money from my family working in Libya to buy food in the south, where it is cheaper,” said Mohamed Touré, from Kidal. Now it is impossible to go south, he said, and money from Libya has dried up because most of the Malians working there have come back. Some residents in Bamako, the capital of Mali, are taking matters into their own hands and Oumar Maiga, 30, has collected money to buy bags of rice and millet to send to northern families. Timothy Bishop, head of NGO Catholic Relief Services, estimates that aid agencies have lost three weeks in their emergency response to the food crisis that existed in the north well before the most recent political upheaval began. MSF head of mission in Mali Johanne Sekkenes said, “Many children will pass from moderate to severe malnutrition in the next few weeks.” Three million Malians are at risk of going hungry this year unless they get help, according to the UN. Supplies of Plumpy’nut and Plumpy’dose, ready-to-use foodstuffs used to treat malnourished children, lie waiting to be transported in the World Food Programme’s warehouse in Bamako. It is difficult for aid agencies to plan their next steps, said Ahmed Moussa N’Game, head of NGO Africare, an NGO working on food security and agriculture projects in the Timbuktu region, because of the lack of information coming out of the north and the fluid situation there. “We have very little contact with the field,” he noted. All agencies say they will resume operations as soon as they can - “You can’t just leave populations living in terror and confusion,” Oxfam’s Badiaga stressed. Those who can have fled across the borders into neighbouring countries: 27,950 refugees have registered in Niger; 32,631 in Burkina Faso; and 48,033 in Mauritania, according to the UN Refugee Agency (UNHCR), while a further 100,000 people have been displaced in and around Gao, Timbuktu and Kidal. Refugees IRIN spoke to said they had no idea when they would return to their normal lives. Many northern Tuaregs are adamant that they do not support the MNLA (Mouvement National pour la liberation de l’Azawad, or National Movement for the Liberation of Azawad), which claims to have military control of Gao and Kidal. 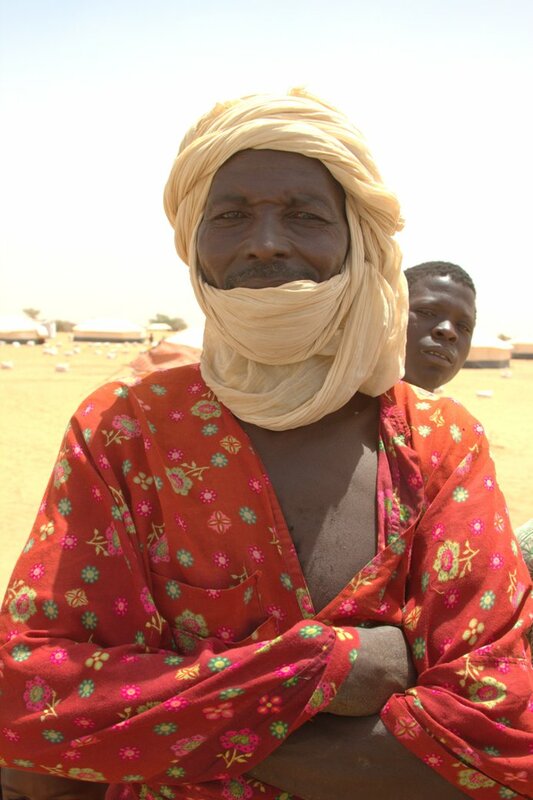 “I absolutely do not agree with the MNLA,” a farmer only known as Ajawa told IRIN from Abala refugee camp in Niger. The UN Security Council issued a statement on 9 April expressing “deep concern” at the increased terrorist threat in northern Mali. The situation there is highly unstable, with several groups vying for power. Salafist group Ansar Dine, which has close links with Al Qaeda in the Islamic Maghreb (AQIM) and wants to impose Sharia law in Mali, has declared control over Timbuktu. Malian officials have reportedly stated that Boko Haram militants, who are active in northern Nigeria, and want to ban Western education and also impose Sharia law, are partly in control of Gao. An AQIM splinter group, Movement for Unity and Jihad in West Africa (MUJAO), has reportedly claimed responsibility for taking seven Algerians hostage in their consulate in Gao. There have also been unconfirmed reports of several important AQIM commanders, including Mokhtar Belmokhtar, convening in Timbuktu. Leaders of the Economic Community of West African States (ECOWAS) are discussing the possibility of sending troops to northern Mali, but many members are reluctant. Senior officials from Algeria, Mauritania and Niger will meet in a few days to discuss the situation. In southern Mali many hope stability is returning. Dioncounda Traouré will be sworn in as President of the National Assembly on Thursday 12 April after a deal brokered by ECOWAS, in which Junta leader Captain Amadou Sanogo agreed to step down.